History has lessons for us, to realize that furthering religious persuasion can be for two reasons, either to oppress and win over other faiths, or to ensure well-being of ours in view of assaults on members of our community. 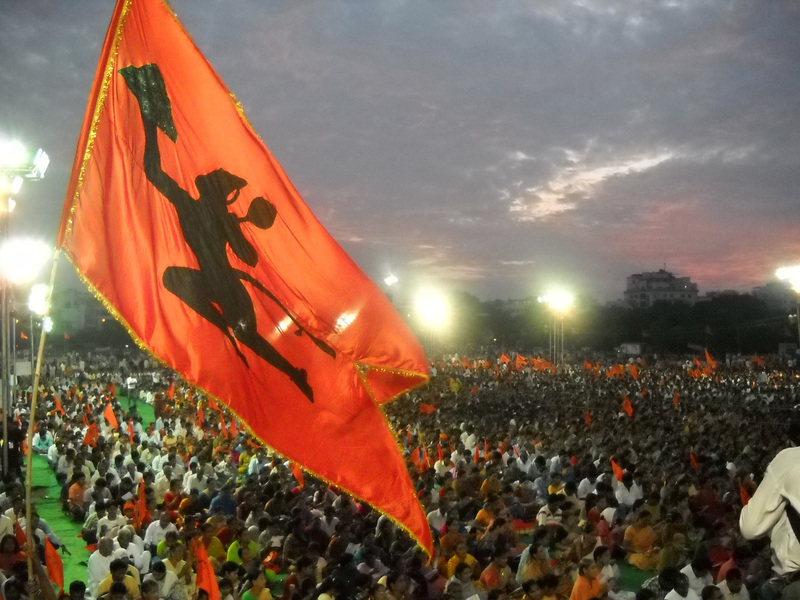 Many can say that exodus of Kashmiri Pandits and construction of Ram Mandir in Ayodhya or for that matter, drop in number of Hindus in Bengal, withdrawal of criminal cases that were filed against members of a particular community by the UP government are unrelated occurrences, but isn’t there something in common, and that something has a bearing on the lives of the followers of a faith that has remained long-neglected in the era of so-called secular politics, for appeasement of minority religions of India. Law of the land is inescapable; hence hasty decision in the sensitive and centuries-old Babri Masjid-Ram Janmabhoomi dispute will only lead to more disorder, law for the construction of Ram Mandir at the disputed site cannot be passed unless Rajya Sabha approves, but can or should this be postponed for long? It will be sensible if this is perused basis rational, historical and archaeological facts and indeed the sentiments of any of the communities seeking custody of the disputed land will find the last place. Excavations by the Archaeological Survey of India, conducted in three distinct years, 1970, 1992 and 2003, found flawless evidences specifying that the site under question had a large Hindu complex, and be it the Rama temple or a Shiva temple, the pilgrimage was that of the Hindus. In 1788, the year when it was reportedly the first time that someone defied the rightfulness of Babri Masjid, Joseph Tiefenthaler, a missionary and notable European geographer, advocated that the Masjid was on the birthplace of Lord Rama. Since then, many honorable courts, learned researchers and a wide array of historians have backed the presence of a Hindu temple at the site, which was demolished by one of the Mughal emperors, conspicuously, Babar or Aurangzeb. In one of the most timeworn judgments, the Faizabad District Judge, in 1866, said that the Masjid built on land which is sacred to Hindus is an unfortunate event, but cannot be reversed since more than 3 centuries had passed and it was too late to accord justice to Hindus. Uprightness forbidden because of a long interval! And since then, in the name of India’s rich secularism, communal harmony, fairness to all religions and such other captivating phrases justice to the followers of Lord Rama has been kept miles away. Now, this does not validate what occurred in December 1992, on the 6th the Masjid was brought to the ground by Hindu devotees, I will not use the word ‘hardliners’ since the same is more apt for extremists, but the postponement of justice was the real cause of the agitation and accusing some leaders or Hindu groups is like finding an easy course to delay this movement further and gain political mileage in the so-called religiously-affluent India. In 2005, terrorists attacked the site and targeted the provisional Mandir, and who can forget the 2002 Godhra case, which left Hindu pilgrims in fumes and resultant deaths in the rage that they were returning from Ayodhya. Tens of thousands of casualties have ensued until today, and the unfounded debate by our legislators alleging that religious accord is above any structure, be it a Mandir or a Masjid, has only kindled the subject, has ridiculed the death of those killed in many riots over this issue and has left us in a state where vulnerable-appearing Hindus and Hindu groups alleged to be hardliners by self-styled secular governments are an easy target to oppression and blame. Now that we have seen a paradigm shift in the way our country is run by administrators post the 2014 Lok Sabha elections, is it wrong or unwarrantable to expect a judicious solution of the Ayodhya dispute, also because the attached word ‘dispute’ with Hinduism’s most sacred site ‘Ayodhya’ is completely unmerited. For if the Mecca is an undisputed place of worship for the Muslims and Jerusalem the holiest site for Christians, are the Hindus extreme in seeking an undoubted accordance of Hinduism to Ayodhya? Don’t we know why even realistic demands by Hindus are turned down, why extremism is the name accorded to any movement seeking justice, why even in the wake of exact facts and evidences minorities are acquitted and why there exists a wide gap in facilities for minority factions and Hindus? Perhaps it is the rule of politics and diplomacy that is to stay forever, for every king needs public backing, and this comes best from the ones who are lesser in number but adamant to mark their presence. To be precise, in India, one community relishes superfluous bonuses, which would not have been probed had it not been at the stake of another community. Such equations kill the very essence of our democracy and constitutional framework that further equality and justice. After the judgment of the High Court, which is stayed by the Apex Court, it is apparent that the very existence of a Hindu temple at the site is totally undisputable, had it been so, the demolition of Masjid would be the only substance taken into notice and the 2/3rd part would never be given to Hindu plaintiffs. Also, the present government grasps the delicacy of this subject, Ram Mandir being a nerve center of Hinduism and its followers, but the need is to deliberate this topic scrupulously minus deferral and diplomacy. For the time being, until the BJP attains majority in the Upper House, at least debating the legislation for erection of Ram Mandir at the site and conveying the same in the Lower House is expected. BJPians are not to disremember that Ram Mandir in Ayodhya was a promise they made in the very initial days of forming the party, and Hindu votes backed them substantially in making it to the topmost echelons of Indian politics. 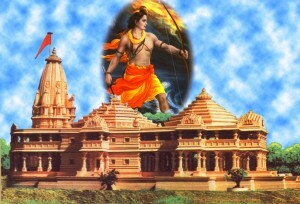 The Supreme Court stayed the verdict of the High Court saying that split of land was never demanded by any of the disputing parties; status quo has been ordered, and this is a chance to stand up again in the court with substantial evidences and findings to ask for a decision in the favor of Ram Mandir. Believe me, unless this matter is put to end, a decisive one, politics and appeasement will just result in suppression of both Hindus as well as Muslims, Hindus exposed to greater risk since many political parties rest on Muslim votes during polls. Then why allow interminable defeat of justice and Hindus? In judicious sense, and also to corroborate your claim for Hindus’ well-being after series of downfalls, Ram Mandir is crucial, inevitable. Having said that bringing of uniform civil code, erection of Ram Mandir and annulling of Article 370 of the constitution demands at least 370 seats for the NDA in lower house, BJP president Amit Shah has flashed a new debate. Uniform civil code finds place in the directive principles of state, an addition made to steer clear of its actual implementation by the then Nehru government and all know of the gift, Article 370 by PM Nehru to J&K. These may need constitutional amendments; hence 2/3rd majority in the lower house; however Ram Mandir cannot be delayed owing to this deficiency. Indeed, apt valuation of present conditions to assure that harmony and national security is not compromised by the erection of Mandir is undeniable. All in all, we cannot allow our descendants to be engaged in this turf war like we have been since centuries, let peace prevail with the construction of Ram Mandir in Ayodhya. Totally a BJP and RSS stand. This is similar to punishing muslims and sikhs without listening to their valid points and knowing exact evidences. Respect court and peacefully give land for masjid. Politicians are busy in cricket and foreign trips. RSS workers should show commitment and build mandir as ruled by the court. Good way to say indirectly that muslims are responsible for oppression of hindus. But you do not write about muslims beaten and threatened by hindu castes. Such hypocracy and fake show of sympathy. If you want mandir in the entire area under question, then tomorrow you will ask for other mosques to be demolished as well. That is why some muslims pick weapons or join terror groups. RAM MANDIR IS THERE IN EVERY HEART. THEN WHY CLAMOUR FOR RAM MANDIR IN AYODHYA? Till the time we have SP BSP or Congress government in UP you will never see a mandir built. For this people should vote for BJP in all states of India. I request all muslim community to come forward for hindus and show that they are really worried. Write to government and ask for a quick construction of Ram Lalla Temple. 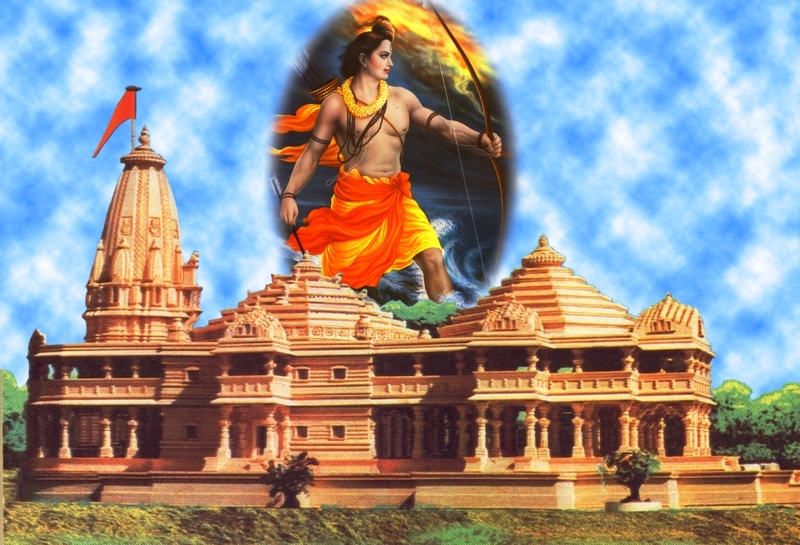 Ram Mandir in Ayodhya is same as Mecca shrine for Muslims. I as a muslim is never against this. I know that this is all politics and general public wants the temple. Its only vote bank politics preventing from finding a lasting solution. What was asaram and his son doing? What was malegaon conspirators doing? Why in todays time no one is seeing what hindus do? Why only muslims are called violent? Demolition of masjid in 1991 then riots and then blasts of bombay. All know which party is involved in terror and this congress says Hindu Terror. No one should vote for congress from now. Hindus should come forward if their legal rights are not recognised. We should not compromise even when mughals persecuted our ancestors in that age. Do you not agree that Babri Masjid was built by one of the invadors of India? Then why this fuss? We should preserve old monuments but not at the cost of others, whose faith is involved. Absolutely wonderful, well done everyone, what a great achievement. Here is to the future and success for everyone. Thank you all for your hard work, we know it will be ongoing and trust that you will get the appreciation and credit of putting such brilliant articles on the worldwide web. Looking forward to seeing it grow. You are to be commended for your excellent writing skills.Hope to see more of your flawless skills soon. I quite like reading an article that can make men and women think. Also, thank you for permitting me to comment. Hi, all the time i used to check weblog posts here in the early hours in the break of day, because i enjoy to learn more and more. Hi there. I simply would like to give you a big thumbs up for your great information you have got right here on this post. I will be returning to your website for more soon. Very Well composed, focused & decision oriented. You ought to take part in a contest for one of the most useful blogs online. I am going to highly recommend this blog. Hello thеrе. I could have sworn I have been to your blog befoгe but after browsing through a few of the posts I realized it iѕ neѡ to me. Regardless, I am certainly haƿpy I ѕtumbled upon it anԀ I will be book-marking it and checking back rеgularly. You are amazing with words. A simple yet advantageous writing. Carry on the great work. Hello, I am so happy I found your weblog. I am really appreciating the commitment you put into your site and in depth information you offer. This has been so particularly generous with people like you to supply openly all that most of us would have offered for sale for an e book in order to make some dough on their own, even more so seeing that you could possibly have tried it if you ever decided. Good day. I am certainly happy I discovered it and I will be book-marking it and checking back frequently. Wonderful story, reckoned we could combine a couple of unrelated data, nevertheless really really worth taking a appear, whoa did a single learn about Mid East has got much more problerms also. Article looks great and really inspires me to come back to your website regularly. Congratulations Dr Gupta in the setting up of your attractive, informative and very professional website. Well done. Everyone loves it when individuals come together and share ideas. Great site, continue the good work. You are very intelligent. You already know the significance in the case of this matter. You post consider numerous angles of information. Your own stuff is excellent. Fantastic put up, very informative. I wonder why the opposite experts of this sector do not understand this. You must continue your writing. I am confident, you have a huge readers base already. A clear and a thought provoking article. Writing at its best. Can I just say what a relief to discover someone that actually understands what they are talking about over the internet. You definitely understand how to bring a problem to light and make it important. More and more people really need to read this and understand this side of the story. I was surprised that you aren’t more popular since you most certainly possess the gift. Bookmarked.., I really like your web site. Thank you, I have just been looking for info about this subject for ages and yours is the best I have found out till now. Very useful advice in this particular article. I want to to thank you for this fantastic read.. I absolutely enjoyed every little bit of it. Thanks for that, the site looks fantastic and I am sure will be a great service to both locals and visitors. Great web site you have got here.. it is difficult to find high-quality writing like yours nowadays. I truly appreciate people like you. Take care..
Quality articles or reviews is the key to attract the users to go to see the web site, that is what this web page is providing. Fantastic site. A lot of helpful info here. I’m sending it to some pals ans additionally sharing in delicious. And of course, thank you on your effort! After looking into a handful of the blog articles on your website, I seriously like your technique of writing a blog. I added it to my bookmark site list and will be checking back in the near future. I read this article completely about the comparison of most up-to-date and preceding technologies, it is remarkable article. Your article will surely be a great help to a lot of people. An outstanding blend of thinking and good writing. Whenever it comes to articulating words, Indians have been superb. Unfortunately, Indians lack the quality of articulating social behaviours. That is the reason why it took 300 years for a community to understand that the place was their worship place. And adding to this embarassment, we needed a foreigner to tell this. A beautiful woman understands how to dress and makeup. Do we need forigners to tell us how to carry ourselves. We also need to think if we are prepared to face the consequences arising after any action. Shivaji Maharaj had said that battles should be fought in enemy’s land. Do we understand the meaning of this. But one thing is sure that Dr Sunil had started this remarkable activity. Thank you very much for initiating this group discussion. It is incredible that an Indian is trying to understand India. This is not a sarcasm but bitter truth.